Nero Platinum 2018 Suite - download in one click. Virus free. 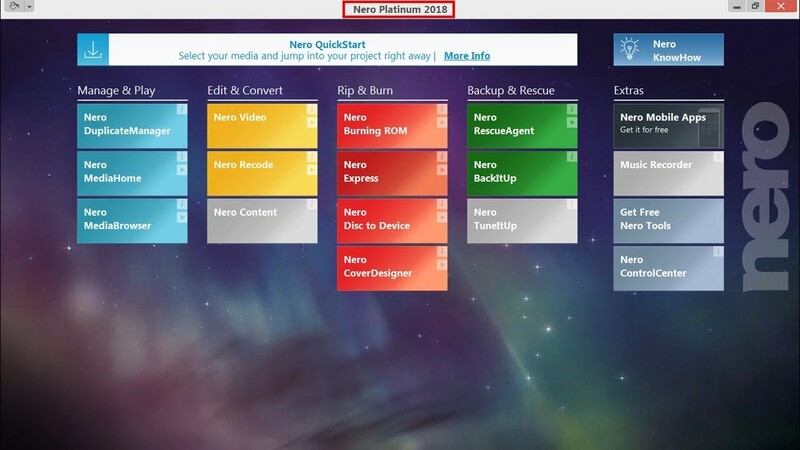 Download the latest version of Nero Platinum 2018 Suite with just one click, without registration. It comes with a safe official web installer for Windows. Nero Platinum 2018 Suite is a bunch of programs that help you create, edit, and manage your digital media with ease. It has five independent sections with various programs you can work with: Manage & Play, Edit & Comfort, Rip & Burn, Backup & Rescue, and Extras. The first section includes Nero DuplicateManager, Nero MediaHome, and Nero MediaBrowser. Use them to get rid of duplicates and manage messy photo and video archives. These programs will sort out your photo folders, making more hard drive space available. You can work with movies and whole TV series, too. The apps have access to online movie databases, so all posters and titles will be generated automatically. 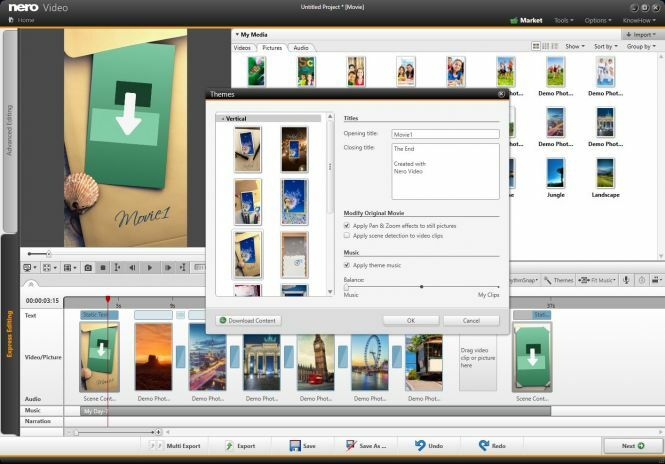 Then comes Nero Video, Nero Recode, and Nero Content - great tools for editing videos. They provide hundreds of video effects, bar-removing tools, color enhancement features. THe software supports vertical and 360-degree videos, so feel free to use the most modern media solutions to store your memories. Rip & Burn section comes with the infamous Nero Burning ROM, Nero Express, Nero Disc to Device, and Nero CoverDesigner. These utilities will make burning data to CDs, DVDs, and even Blu-Rays easier than before. Beginners can use built-in wizards to burn their data hard copies in a couple of clicks, and advanced users have plenty of options to choose from, so the final result is precisely the desired one. Finally, Backup & Rescue section links to Nero RescueAgent, Nero BackItUp, and Nero TuneItUp utilities. Keep your data safe with reliable solutions that create backups in three destinations in accordance with a schedule you choose. In case something happens to your main archive you will have the full copy of the data in minutes. 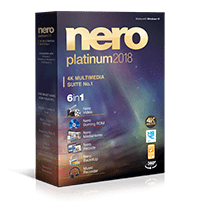 Nero Platinum 2018 Suite provides all necessary tools to work with your digital media library. And it has some extras - help yourself to use mobile apps and free Nero tools!